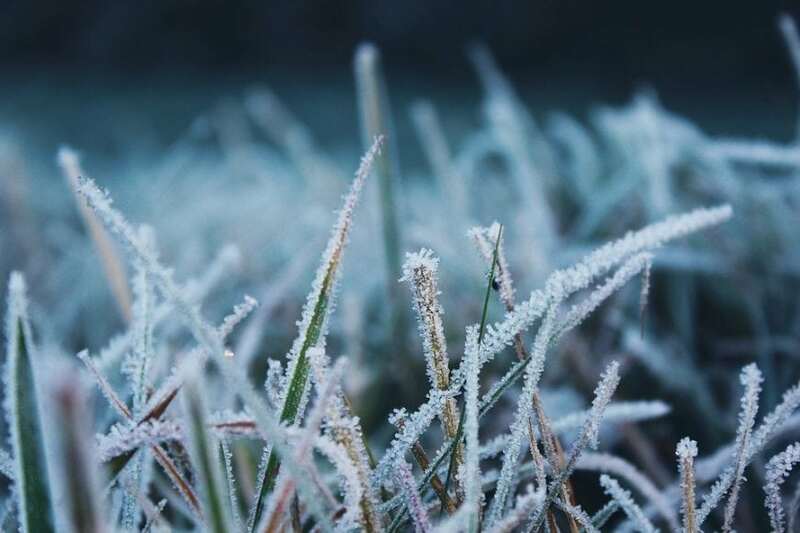 Freezing is regarded as the best technique for long-term preservation of food, organs, and even living organisms. As temperature drops, reactions slow down and microbial activity is reduced to a minimum. Although it is the technique of choice when it comes to preservation, cryopreservation poses several challenges. Water is the most common component of cells in living organisms, and when the temperature drops, water is turned into ice. That same component that is essential to live becomes deleterious. Upon freezing, water crystallization disrupts cells in a way that is, in many cases, irrecoverable upon thawing, leading to cell death in living organisms or organs. There are several solutions to minimize these effects, such as the use of specific freeze time gradients to control the number and size of intracellular ice crystals, or the use of cryoprotectants, promoting the amorphization of water thus avoiding completely or in part the crystallization process. The solution for more complex systems is the use of cryopreservant agents; however, the need for high concentrations of cryopreservants can sometimes lead to toxicity issues. Although cryopreservation is a high-value market, it lacks efficient solutions. The examples of implementation of this technique in the industry are mainly in embryo, sperm, and stem cell storage where a large amount of cell death upon thawing is acceptable. The solution for this problem comes from nature itself. Since the beginning of time, mankind has been mimicking nature in order to develop new technologies, products, and solutions for everyday problems. This is especially true for pharmaceutical and food industries in the search for new, safer, and better drugs and food additives. The same principle can be applied to cryopreservation. Through millions of years, living beings have adapted to some of the harshest environments on the planet by developing mechanisms that allow them to survive extreme conditions. As part of these mechanisms, it has been observed that metabolites such as trehalose, glucose, polyols, or amino acids are produced intracellularly. In the case of stonefly from Alaska (Nemoura arctica), glycerol has been found to increase by three orders of magnitude in cold acclimation, leading to a survival rate of 85% when they are subjected to -15 °C for 2.5 weeks. Tardigades can survive in extreme conditions, hot and cold temperatures, high saline concentrations, and ionic radiation. It was observed that trehalose quantity increases nearly 23-fold during dehydration, and the level is reduced when hydration is initiated. Somme and Meier reported the survival of hydrated tardigrades after almost 600 days at -20 ºC, and dehydrated tardigrades for 3040 days at the same temperature. Furthermore, trehalose, sugars, and polyols were found to be accumulated in several other animals with cold resistance. During autumn, accumulation of trehalose and glucose was observed, and then, when conditions undergo a threshold point (humidity and temperature), a massive production of polyols was initiated. In spring, the identified cryoprotective metabolites were practically cleared from the tissues. There is a clear correlation between these metabolites and the components that form a deep eutectic solvent (DES). Using this nature-inspired approach, new natural DES (NADES) can be designed which are more effective, cheaper, and environmentally safer systems for the cryopreservation of cells. The role of a third liquid phase in organisms’ biochemistry has not yet been fully explored, however, there are some reports in literature that relate the presence of NADES to the ability to transport and dissolve poor water-soluble molecules in cells, as well as to improve the activity and stability of enzymes. NADES play an important role in the biotransformation of these poor water-soluble molecules, providing a substrate in which both solutes and enzymes can be solubilized. NADES in aqueous solution are able to reduce the crystallization temperature of water or completely avoid water crystallization through the vitrification of water. Thus NADES in aqueous media is able to preserve the integrity of cells during the freezing and thawing processes avoiding the use of more expensive, toxic cryopreservant agents. The success of this application will open opportunities for the future design of cheaper and more effective cryopreservation systems for tissues and organs. These findings are described in the article entitled Natural deep eutectic systems as alternative nontoxic cryoprotective agents, recently published in the journal Cryobiology. This work was conducted by Vânia I.B. Castro, Joana M. Silva, and Rui L. Reis from the University of Minho and ICVS/3B’s PT Government Associated Laboratory, Rita Craveiro and Alexandre Paiva from the Universidade Nova de Lisboa, and Ana Rita C. Duarte from the University of Minho, ICVS/3B’s PT Government Associated Laboratory, and the Universidade Nova de Lisboa. Alexandre is a Post-doc Researcher at the New University of Lisbon.